Great source of protein and energy! Keeping your feathered friends well-fed, happy and healthy is the best way to make sure they stick around to give you and your family years of backyard birding enjoyment. Spring Hill is pleased to offer everything you need to feed, house and care for your favorite birds. For example, these high-quality peanuts are a favorite of woodpeckers—they'll flock to your landscape when you put these roasted and shelled peanuts out for them to snack on. And because they are pre-shelled, you won't have any messy shells to deal with when the birds are done feasting. 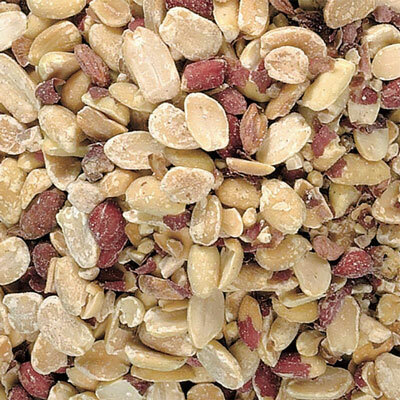 An ideal snack by itself, but you can also add it to your preferred seed mix to attract a multitude of birds! 3lbs.